Home » Health » What Is Cholangiitis? Cholangitis is an infection that occurs in the bile ducts ( the channel passed by the bile from the liver to the gallbladder and the gut ). 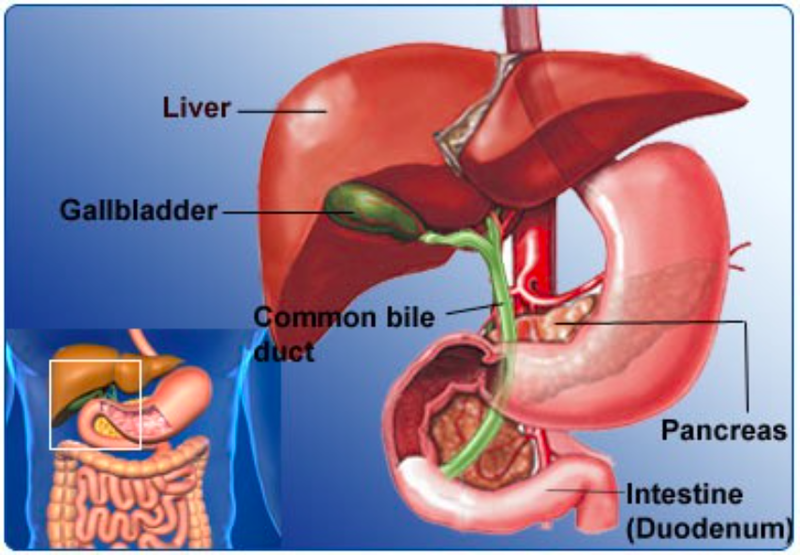 The bile produced by the liver needs the body to help the digestive process. Under normal circumstances, the bile is sterile. However, when blockage occurs in the bile ducts, the pile of bile will have a risk of infection. The form of pain due to cholangitis varies, some are felt sharp, dull, or resemble cramps. In addition to the middle or right abdomen, sometimes the pain can be felt to the back and bottom of the right shoulder blade. Cholangitis can be suffered by anyone, whether male or female. Most cases occur at the age of 50-60 years. In severe conditions, cholangitis is at risk of death if ignored or not treated properly. The death rate from cholangitis is reported to be between 13-88 percent. Most cases of cholangitis are caused by bacterial infections. Clogged bile ducts, eg caused by gallstones or tumors, can cause bacteria to multiply in them and attack the bile ducts. Initial examination will begin by identifying the symptoms suffered, personal and family medical history. Then the doctor will perform a physical examination to see if there are signs of abnormalities such as: jaundice (appear yellowish color on the skin and whites in the eyes) and the top of the stomach is palpable soft. If necessary, the doctor may also recommend blood tests and cultures to look for signs of infection as well as measure liver function. If you feel the symptoms of cholangitis, see your doctor immediately for a checkup. The sooner this condition is diagnosed and treated, the chances of recovery become higher. Do not underestimate the symptoms of cholangitis because this condition can cause death. Most cases of cholangitis are handled by doctors through the administration of antibiotic drugs to kill infectious bacteria. If this method is not successful, then the doctor will recommend surgery. The doctor will usually wait for the patient's condition to stabilize before surgery. However, in patients with cholangitis whose symptoms worsen rapidly or in patients whose condition is very poor, it will usually be directly performed surgical procedures. 0 Response to "What Is Cholangiitis?"